Following an extensive nationwide search that included both internal and external candidates, the Memorial Hermann Health System Board has announced the appointment of Benjamin K. Chu, M.D., MPH, MACP, as president and CEO of Memorial Hermann Health System, effective June 2016. Dr. Chu – a well-respected, national thought leader in the health care industry – brings to Memorial Hermann an accomplished, four-decade long career as a physician, administrator and policy advocate, hospital officials said. He will succeed current president and CEO Dan Wolterman, who has impressively and passionately led Memorial Hermann for 17 years. Dr. Chu currently serves as the executive vice president of Kaiser Foundation Hospitals and Health Plan, Inc., and Group President of Kaiser Permanente Southern California and Georgia regions. He directs health plan and hospital operations for 14 hospitals and 237 medical offices, serving more than 4.5 million members in Southern California and Georgia. Dr. Chu, who also serves on the organization’s national executive team, has helped set the short and long-term strategies of Kaiser Permanente, one of America’s leading healthcare providers and not-for-profit health plans, with an emphasis on quality and patient safety, physician integration and population health. The complexity and size of an organization like Memorial Hermann called for a thoughtful and thorough selection process, Williams pointed out. 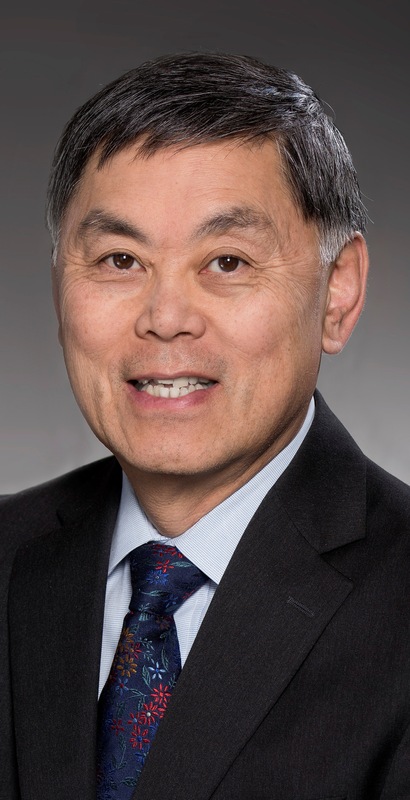 In his career with Kaiser Permanente, Dr. Chu focused on quality, patient safety and service delivery resulting in a number of national accolades. He effectively implemented a fully-integrated electronic health record system and population health management tools in the Southern California Region and helped expand Kaiser Permanente’s health plan membership to 10.5 million for the entire program. Notably, he also successfully managed a multi-year, $13 billion capital program. Before joining Kaiser Permanente, Dr. Chu was president of New York City’s Health and Hospitals Corporation, the largest public hospital system in the country. In 1994, he was acting commissioner of health for the New York City Department of Health. Dr. Chu also has experience as an academic health center leader, serving as senior associate dean at Columbia University College of Physicians and Surgeons. At New York University School of Medicine and Medical Center, Dr. Chu was associate dean and vice president for Clinical Affairs. As a policy advocate, he was a Robert Wood Johnson Policy Fellow, working as the legislative assistant for health for New Jersey Sen. Bill Bradley. In 2014, Dr. Chu, who gained a national profile in health policy, was elected chair of the American Hospital Association Board of Trustees, becoming the top elected official who represents America’s hospitals and health systems. Officially retiring Aug. 1, Wolterman will work with Dr. Chu over the course of the coming months to effectively transition his role. Wolterman joined Memorial Hermann in 1999 and was promoted to CEO in 2002. Known for his passion for creating solutions to increase access to care for the underserved and uninsured, he spearheaded the creation of the Memorial Hermann Community Benefit Corporation. His tenure as CEO has seen Memorial Hermann achieve year-over-year double-digit growth, ascend to the largest not-for-profit health system in Southeast Texas and one of the largest in the country, while expanding to 13 hospitals with more than 24,000 employees and 5,500 affiliated physicians. Memorial Hermann-Texas Medical Center, the system’s flagship hospital, is home to the country’s busiest Level I trauma center and is the primary teaching hospital for McGovern Medical School at UTHealth. Dr. Chu’s appointment as president and CEO marks the first time in Memorial Hermann’s history a physician will be leading the system. The move is indicative of the changing landscape in healthcare where the successful future of the industry relies on the true integration of provider and physicians, according to Williams. “Physician integration is a key tenant of Memorial Hermann’s operations. For two consecutive years, Memorial Hermann has led the country’s most successful Accountable Care Organization, and has been at the forefront of practicing innovative, evidence-based medicine to better manage populations, improve outcomes and deliver value for the healthcare dollar,” Williams said. While Dr. Chu has nearly 30 years of experience in healthcare administration, he began his career as a primary care internist in Brooklyn, N.Y.
“I am first and foremost a clinician who became an administrator because I wanted to change our healthcare delivery system to a markedly more effective outcome-oriented, patient-centric model,” he said. Dr. Chu earned his medical degree at New York University, his master’s degree in public health from Columbia University and a bachelor’s degree in psychology from Yale University. He is married to artist Donna Moylan and has three adult children.